As a service to humanity I am continuing my list of objects and experiences that are over-rated. I shall persist in sharing with you the fruits of my research and analysis. The items on this list all have some quality--had they no merit at all they surely would never have become over-rated. What characterizes the truly over-rated icon is that its reputation is all out of proportion to the enjoyment, satisfaction, or benefit that can be, or commonly is, derived from it. In order to further my study of the play Hamlet and its I have taken down my copy of Bartlett's Familiar Quotations (14th ed. 1968). I wished to do a little numerical study (I hesitate to say the word statistics because I sense Mark Twain ready to muttering "Damn lies!" the moment I utter the magic word.) Bartlett'sM is the source for quotations and I was hoping to find out how quote-heavy Hamlet is, compared with other Shakespeaean and Elizabethan plays. Here are my results: In the 85 pages devoted to quotes from Shakespeare 10 are from Hamlet. The nearest is competition is Macbeth, at a distant 6 pages. The only other plays even vaguely in the running are The Merchant of Venice (q.v.) and Othello, each with less than 5 pages. Most Shakespeare plays have 2 or fewer pages of quotations. The most quotable comedy is As You Like It with just under 4 pages. Romeo and Juliet (q.v.) scores under 3 and Henry V has 2 and a half. Ben Jonson and Christopher Marlowe each have 2 pages devoted to them. Not many quotes there, I guess. Well, one from Jonson is worthy of a passing note: "The players have often mentioned it as an honor to Shakespeare that in his writing (whatsoever he penned) he never blotted out a line. My answer hath been, 'Would he had blotted a thousand.'" I haven't done the full research (I leave this as an exercise) but I suspect that Hamlet is credited by Bartlett's with more quotes than any single other work. (Note, the Bible does not count as a single work any more than Shakespeare does.) I offer this not as a criticism of the play, but as evidence that Hamlet's reputation is indeed very great. Greater by a wide margin than anything else in all the rest of literature. Without recognizing even one word of disparagement, how could Hamlet fail to be over-rated? QED. Enough with numbers. How good is Hamlet really? I ask myself: 1) How good is its use of language? Answer: see the previous column. 2) How good is the plot? Any candid reader must concede that the plot is murky, rickety, and contrived throughout. The ending, the dénouement, is bloody beyond all credibility. This is not a tragedy; it is a public disaster. 3) Do you appreciate or sympathize with the characters? I don't. Some, like Tom Stoppard, have tried to make something out of minor characters like Rosencrantz and Guildenstern (notable for their sinister offstage deaths). The major characters are anything from ugly to just plain annoying. A potentially interesting character, Ophelia, after an all-too-brief mad scene, dies offstage. Altogether too much of what goes on in that Danish court seems to happen somewhere other than onstage. Meanwhile, Hamlet, whose ego just about eats up the whole world, dominates the boards like a sociopath or a wailing infant. There is only so much we can take of this spoiled brat. Watching Hamlet may be a salutory lesson for bright, emotionally retarded children, but is no intellectual or entertainment fare for even moderately well-adjusted adults. Therefore, it is my opinion that if it weren't for those famous quotes Hamlet would be a minor play indeed. All style and no substance is my verdict. You might answer my evaluation with that famous and potent riposte: "Sez you." And I grant the force of your argument. Let us then pass over my intemperate literary criticism and seek out impartial evidence of Hamlet's less than overwhelming greatness. How popular is Shakespeare's "greatest" play? One way to find out is to see how many composers have hastened to portray the moody Dane in music. Verdi made Macbeth, Othello, and the Merry Wives of Windsor into operas, but did not set Hamlet. Tchaikovsky made an orchestral fantasy out of Hamlet, but few remember it. His Tempest is far more memorable and Romeo and Juliet is just about the most popular thing he ever composed. Romeo and Juliet has attracted countless composers: Gounod, Bellini, Prokofiev, and Berlioz, just to name a few. The works they composed are major items in the concert, ballet, and opera repertoires. The opera Hamlet by Ambrose Thomas is just a footnote in opera history. Even The Merry Wives of Windsor (three great operas) has been far better served by composers. Nineteenth century European musicians of every nationality were smitten by the Shakespeare craze; somehow Hamlet seemed to be exempt from their attention. You argue that French, Russians, Italians, and Germans would not have been able to appreciate the language virtues of Hamlet. Hey! That's just the point I was making above. Take away the lingo, and strip down to barebones plot and character, and Hamlet has nothing to offer anyone interested in pure drama. But let's be generous and get a second opinion. The movies. Many of these are in English, so we cannot entirely dismiss their verdict because of the language barrier. Admittedly Hamlet has been rendered onto film, and often. The question I ask is this: how successful were any of these films? Laurence Olivier's Hamlet won the best picture Oscar for 1948. But that is no guarantee of quality. Cecil B. DeMille's (q.v.) The Greatest Show on Earth, one of the worst movies ever made, won the same award a few years later. Very few Academy Award (q.v.) best picture winners are fine films of lasting merit. Most are chosen by the Academy (q.v.) for quite other reasons. In the case of Olivier's Hamlet, the Academy wished to show themselves to be cultured and to make an encouraging gesture to the British. They could have accomplished these aims and chosen a fine picture to honour, but they really have never had a clue. The only other cinematic Hamlet worth discussing is that of Kenneth Branagh. I found it interesting because he chose to film the whole play. Even in the theatre I never saw the whole play. It takes five hours! It is too damn long! How can a play be so good if it is so long as to test all human endurance? It is impractical, not a real thing. Say that I wrote a 70 hour play and the stupid producers and directors cut it down to 2 and a half for performances. The critics pan the result. Who is to blame? The threatre for only showing a fraction of my creation? Or myself, for not making something that fits into the compass of an evening? I think you know the answer. Branagh's Hamlet, by the way, long as it was, was less boring than Olivier's. It reflected Hamlet's unevenness and added some queer casting to boot. I don't think I would choose to sit through it another time. On the other hand, I would watch Zefferelli's 1968 Romeo and Juliet again. And I have already seen it several times. Two of the greatest Shakespeare movies of all time are founded on Henry V, one by Oliver and the other by Branagh. These will live on when their respective Hamlets are long forgotten. Other great Shakespeare-based films include Looking for Richard (Richard III), West Side Story (Romeo and Juliet, the stage version is even better), Much Ado About Nothing (Branagh again), Throne of Blood (Macbeth), and Ran (King Lear). Among other decent or interesting flics are Kiss Me Kate (The Taming of the Shrew (q.v. )), The Taming of the Shrew (Zefferelli), A Midsummer Night's Dream (Mickey Rooney et al), Chimes at Midnight (Henry IV, Orson Welles), A Double Life (Othello), Forbidden Planet (The Tempest), and Prospero's Books (The Tempest). 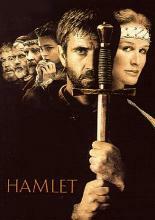 It seems that many people have thought that Hamlet would make a good movie, but that they have been proven wrong. Furthermore, it is not that Shakespeare cannot be filmed, it is only that Hamlet cannot. Thus we have the impartial verdict of two vast, related areas of culture. Hamlet is not "a consummation devoutly to be wished." What's Your Lip Gloss Personality?